In these beginners adult aerial classes you will learn to dance in the air on silks, static trapeze and lyra. These classes will rapidly build core and upper body strength and may make you fall completely in love with circus! Each class involves appropriate warm-up and conditioning, acrobatic skills across various types of equipment and warm-down. 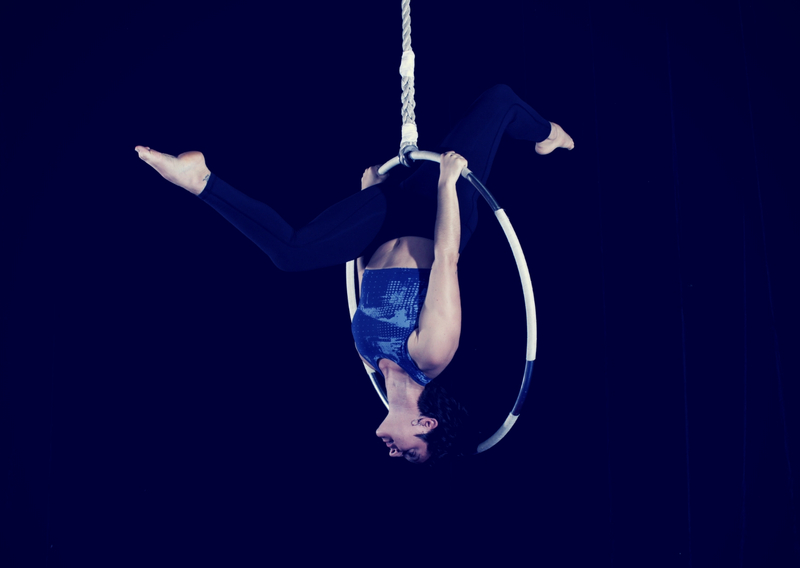 In the intermediate adult aerial class, you will continue to improve your skills on silks, static trapeze and lyra. Available as casual classes and 6-week courses that run throughout the year.